Keith Bradley is our Jack of All trades and master of everything he does! He’s been one of one woodworkers – the topmast is his baby – and metal worker – you should see his topmast fid! Originally from Detroit, he has resided in Falmouth for many years where although retired from Woods Hole Oceanagraphic Institute, he still works there part-time. Few have had as varied a career as Keith; building upon undergraduate and advanced degrees in engineering from Notre Dame and Michigan (who does he root for?) and an MBA from Babson. He has worked as an officer with NOAA, for Chrysler, and WHOI. At WHOI he was Operation Group Manager building very deep ocean instrumentation and deep sea buoys. I am always struck by how unusual and special volunteers are. Never knew until getting background for this post, for example, that Keith teaches Science Lab at Babson and has been a Special Olympics swimming coach for 25 years! Bill Lawton is the heart and soul of our Reliance crew. 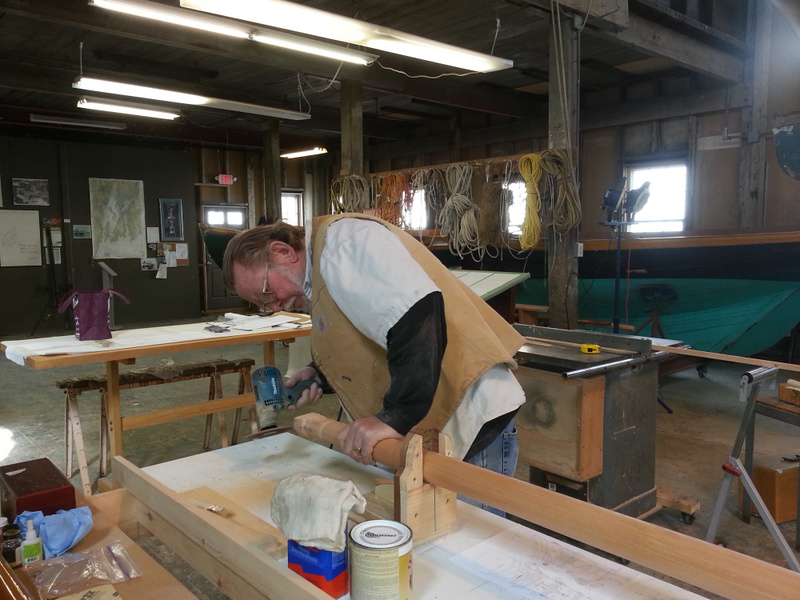 Having been a professional boat builder and furniture maker, he is our go-to guy. We often find him chuckling to himself that he can’t believe he’s building a big boat with 1/6th scale miniature parts. Bill apprenticed as a furniture maker during high school before joining the Marine Corps for a decade. Leaving USMC he returned to furniture making but quickly joined Pearson to lead their woodworking shop at what is now our Herreshoff Museum campus. He left Pearson for stints at a number of boat bulders including Hunter as head of their R&D shop and Gulfstar (where he built 150′ boats for the Carribean trade) before finally owning his own boatyard. During his boat building career he built wooden, fiberglass, and ferro cement yachts. He eventually left boatbuilding for a more stable life as a general contractor which he continues today on a part time basis in his “retirement” phase. 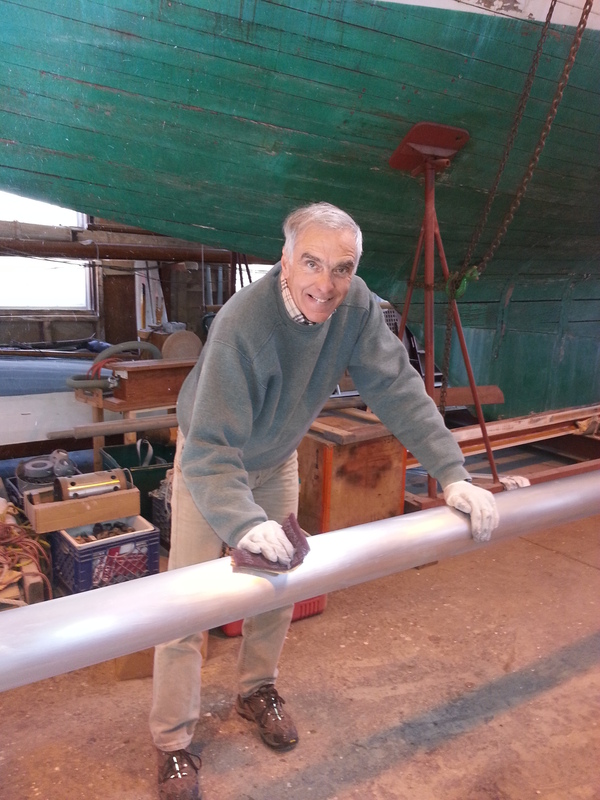 So now almost 50 years later, he is back in Building 28 where his boat building career began! Check back for more profiles on the rest of our RELIANCE team. This entry was posted in Builder's Notes & Pictures and tagged Herreshoff, RELIANCE on April 17, 2013 by Herreshoff Marine Museum/America's Cup Hall of Fame.